Rajasthan has ample exposure to solar power and innovative technology driven solutions can help in making use of this power for energy production. 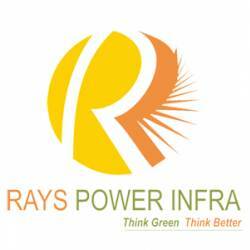 Rays Power Infra provides complete support for erecting and managing Solar Power Plants in Rajasthan that can produce electricity to the tune of 100 MW. Brainchild of IIT Roorkee alumni and professors, this company has won accolades from the industry’s regulatory authorities and has a number of successful projects to their credit. Make Rajasthan greener, call the experts now!